Legal to sell, yes. But ethical to sell? Complementary and alternative medicine (CAM) is no longer fringe, and anything but the mom-and-pop image that manufacturers carefully craft. CAM is big business, and most Americans today take some sort of supplement. The impetus for my blogging (and tilting at CAM windmills) emerged from years spent working in a pharmacy with a heavy reliance on CAM sales. If it was unorthodox, this store probably sold it. Conventional drug products (the ones I was familiar with) were hidden off in a corner, and the store was otherwise crowded with herbal remedies, homeopathy, and different forms of detox kits and candida cleanses. All of this was unlike anything I’d ever seen or heard about in pharmacy school – so I started researching. I looked at CAM from a scientific evidence perspective, the one I was taught in pharmacy school, using the same approach I’d take when assessing a new drug. Did the evidence support the claims made about these products, or not? The answers, as you might expect, were often the same. There was little or no credible evidence to demonstrate CAM had any meaningful benefits. I started blogging my own reviews as a way of documenting my own research, while offering some information to anyone on the Interwebs who might be searching for evidence. Over time my blogging focus expanded, as I asked myself the inevitable questions: How could implausible products with no scientific backing even be approved for sale at all? I discovered the regulatory double-standard allowed for anything considered a dietary supplement (or in Canada, a “natural health product“) and the history and politics that have made CAM the “Wild West” of health care, with a marketplace that prioritizes a manufacturer’s right to sell over a consumer’s right to purchase a product that is safe and effective. Given the retail marketplace that’s been established by regulators like the FDA and Health Canada, I’ve turned my focus on to health professionals, who have an ethical responsibility to put patient interests above that of commercial interests. From a professional practice and medical ethics perspective, I have argued that health professionals that sell or promote CAM are on ethically shaky ground, and compromise the credibility of the profession. Are pharmacy-based genome tests credible and useful? Is genomic testing as useful as pharmacies claim it can be? Is it ethical to market complementary and alternative medicines? Is it ethical to market complementary and alternative medicines? Complementary and alternative medicines (CAM) are medical products and services outside the mainstream of medical practice. But they are not just medicines (or supposed medicines) offered and provided for the prevention and treatment of illness. They are also products and services – things offered for sale in the marketplace. Most discussion of the ethics of CAM has focused on bioethical issues – issues having to do with therapeutic value, and the relationship between patients and those purveyors of CAM. This article aims instead to consider CAM from the perspective of commercial ethics. That is, we consider the ethics not of prescribing or administering CAM (activities most closely associated with health professionals) but the ethics of selling CAM. Can you spot the sugar pills among the medicine? Is it ethical to market complementary and alternative medicines? Complementary and alternative medicines (CAM) are medical products and services outside the mainstream of medical practice. But they are not just medicines (or supposed medicines) offered and provided for the prevention and treatment of illness. They are also products and services – things offered for sale in the marketplace. Most discussion of the ethics of CAM has focused on bioethical issues – issues having to do with therapeutic value, and the relationship between patients and those purveyors of CAM. This presentation — by a philosopher and a pharmacist — aims instead to consider CAM from the perspective of commercial ethics. That is, we consider the ethics not of prescribing or administering CAM (activities most closely associated with health professionals) but the ethics of selling CAM. Admission is free. Space is limited. Register here. WHERE: Ted Rogers Leadership Centre, Ted Rogers School of Management, Ryerson University, 55 Dundas Street West, Toronto. 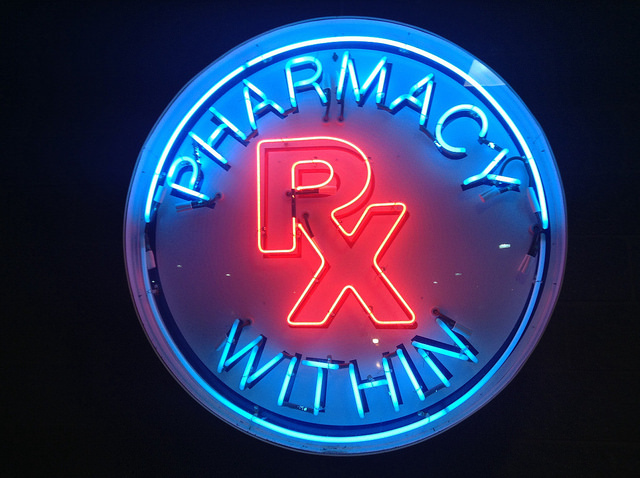 Pharmacists have long been providing advice to prescribers based on evidence. Before EBM became widely used in the 1990s, pharmacists ran medicine information centres and answered complex drug queries using the best available evidence. Pharmacists were involved in the development of EBM and its propagation via drug and therapeutics committees, and more recently working with the National Institute for Health and Care Excellence (NICE). By its very nature, pharmacy is an evidence-based profession in both primary care and hospital care and the industry is undergoing a period of change. Future models of community pharmacy practice that focus on management of long-term conditions will place an even greater reliance on EBM. Well, that is the case with prescribed medicines. When it comes to OTC products, pharmacists’ approach to evidence seems to be forgotten, with a “what the public wants, the public gets” attitude taking precedence. Photo from flickr user jeepersmedia used under a CC licence. 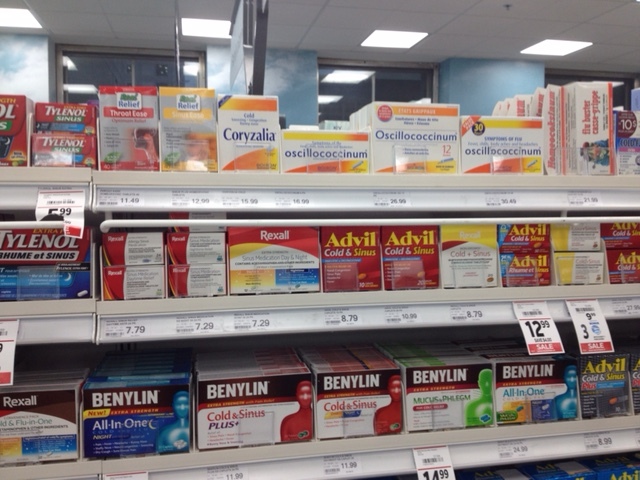 Imagine a retail pharmacy where some of the medicines on the shelves have been replaced with similar-looking packages that contain no active ingredients at all. There is no easy way to distinguish between the real and the fake. Another section of the store offers a number of remedies with fantastic claims, such as “boosting” the immune system, “detoxifying” the body, or “cleansing” you of microscopic Candida. They look sciencey, unless you realize that they treat imaginary medical conditions. A corner of the store offers unpurified drugs supplied as tinctures and teas. The active ingredients aren’t known, and the batch-to-batch consistency of the product is unclear. The store will suggest products for you based on your symptoms. Walk past the enormous wall of vitamins and other supplements and you’ll find a nutritionist who will tell you what products you should be taking. You’ll also find a weight loss section. From a science-based perspective, this shouldn’t even exist, given no product has been shown to offer any meaningful benefit. But there are dozens of products for sale. At the back of the store you’ll finally find the pharmacist. A sign on the counter offers blood- and saliva-based tests for food “intolerance” and adrenal “fatigue”, claiming to test for medical conditions that actually don’t exist or lack an evidence base. The pharmacy also offers a large compounding practice, advertising what it calls “personalized” approaches to hormone replacement with “bioidentical” hormones. Welcome to the “integrative” pharmacy.